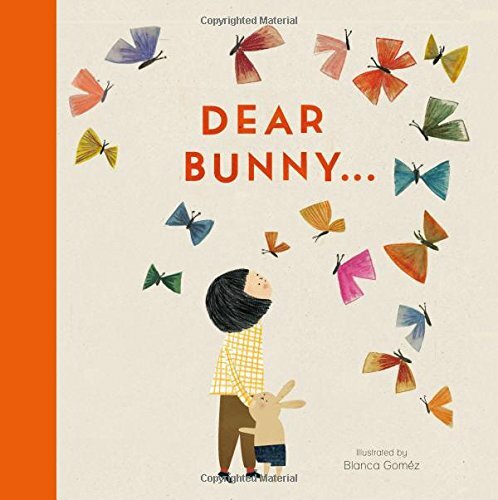 A wonderful story of changing seasons and friendships, reprinted and rebound by Book Island. Here's "The Lion and the Bird"
ReadItDaddy's Chapter Book and Early Readers Roundup - September 2015 with anti-gravity, awesome ravens and ghastly ghosts! Oh I know school has started, and you're probably fed up already (or if you're a parent, you're running around the house screaming whoops of glee!) but there's always room in your school bag for a new book. 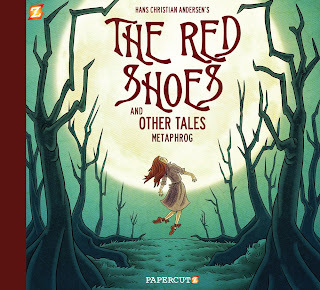 In this month's chapter book roundup we kick off with an awesome story from Tina L. Peterson (with illustrations by Xavier Bonet). "Oscar and the Amazing Gravity Repellent" tells the tale of a young boy who is fed up with being clumsy and even more fed up with being pushed around. 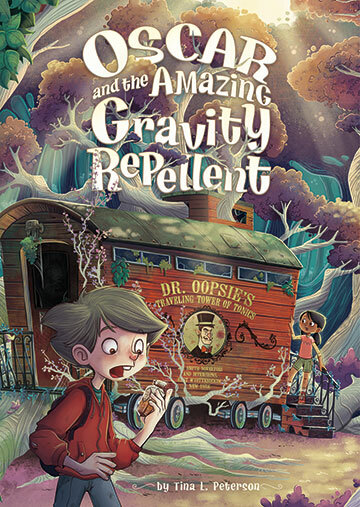 Along with his friend Asha, Oscar finds an old abandoned railway wagon, the home of the mysterious Dr Oopsie, a showman and inventor who has left behind a powerful gift, an amazing gravity repellent that can send even the heaviest objects shooting up into the sky. 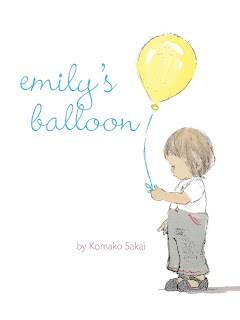 This is a fantastic middle grade story with a hugely positive message. "Oscar and the Gravity Repellent" is imaginative and inventive, and we look forward to seeing more from Oscar and Asha! The book is out now from Raintree Publishing (UK) and Capstone Publishing (US). Would you like some more? NEVERMORE!!! 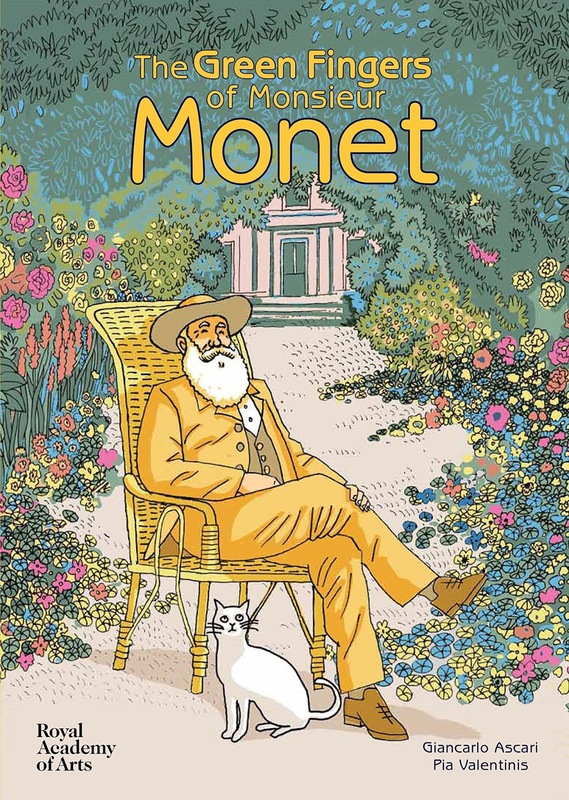 Utterly brilliant, and so happy to see these back in print thanks to Frances Lincoln Publishing. 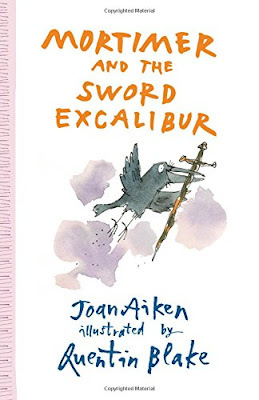 "Mortimer and the Sword Excalibur" was released on 6th August 2015 so you can nip out and grab a copy now. 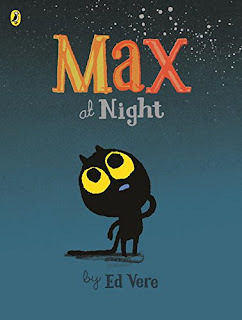 If there's one thing we'd love to see more of in children's early readers and chapter books, it's a good ghostly yarn or two. 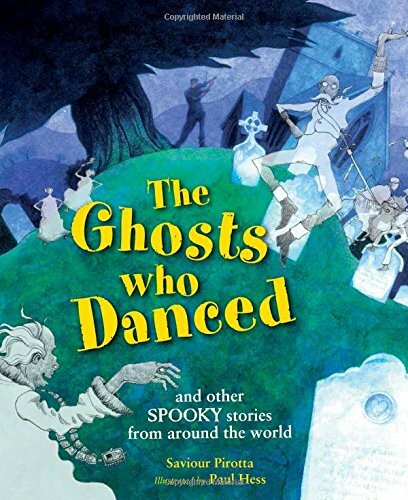 I was brought up with the amazing (and quite scary) Methuen ghost anthologies, but this fantastic collection "The Ghosts Who Danced (and other spooky stories from around the world)" is eminently suitable for younger (and braver) readers who love a dark tale or two with supernatural shenanigans. The stories are fantastic and diverse, and the illustrations are utterly wonderful. "The Ghosts who Danced" is available now from Frances Lincoln Publishing. A final book for this month's roundup...can you bear to let it go? Yes indeed, it's the original story that inspired the huge Disney movie "Frozen". 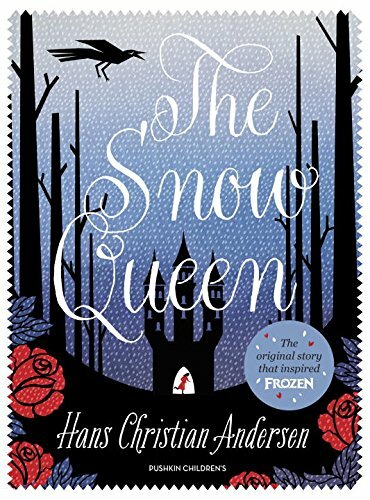 Step back into the original Hans Christian Andersen tale of "The Snow Queen" adapted with all new fabulous illustrations from Lucie Arnoux. 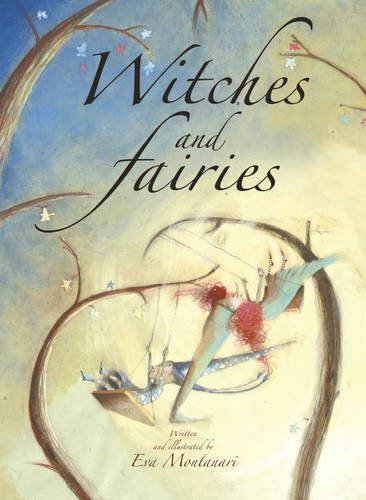 Two centuries on from its original publication, the story of Kay and Gerda, and an intrepid rescue mission to thwart the wicked magic of The Snow Queen is as tense and exciting as ever. Though children will probably make rude rasping noises about this (the force of Anna and Elsa are powerful, after all! 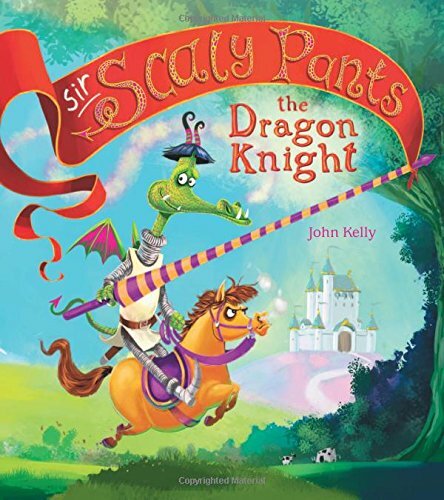 ), it's a dextrous retelling beautifully illustrated and presented and should certainly wow older readers who have grown out of all things Disney. "The Snow Queen" by Hans Christian Andersen and Lucie Arnoux is out on 1st October 2015. Let it melt your icy heart! And that's all we've got time for this month. Join us next month for a pre-halloween chapter book blowout hopefully with even more spooky stuff! Take a crazy road trip across the land in a gorgeous camper van, with two of the most loveable hippy grandparents you could ever hope to meet. 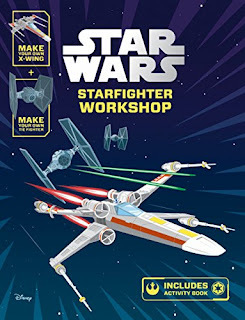 Star Wars Mania is about to explode in just a few short weeks as Episode 7 debuts. 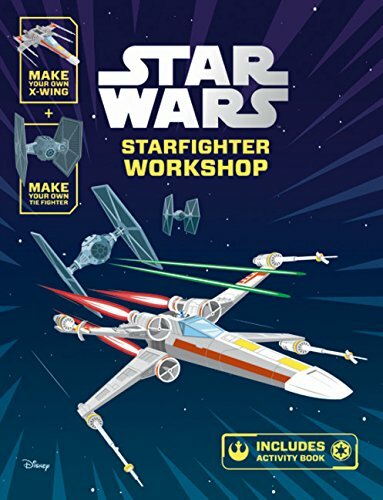 There's never been a better time to take a look at brilliant new Star Wars books so let's dive into an absolute cracker! 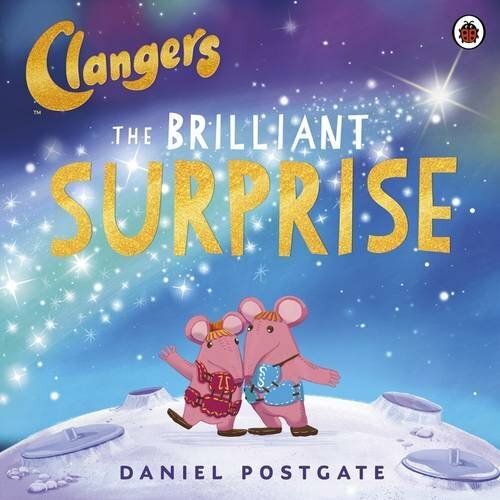 A book that instantly feels like it's been around for ever, weaving itself a wonderful world of fairy folklore but with a good solid anti-bullying message in "Imelda and the Goblin King"
Nestled in just before the boring news came on, "The Clangers" was required viewing when I was a teeny tiny. Now they're back, all new and shiny but still retaining their timeless charm. Here at ReadItDaddy we like to concern ourselves with the really important questions from history. How indeed DO astronauts wee in space? Do Dinosaurs make good pets? Let's explore a new paperback history range with Dr Dino! 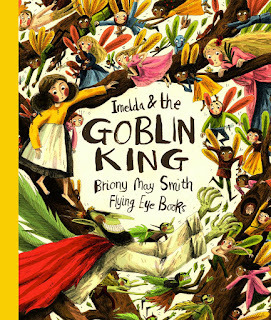 Food chain McDonalds is teaming up with the Roald Dahl foundation for a truly scrumptiddlyumptious story treat as part of Happy Meal deals this month. 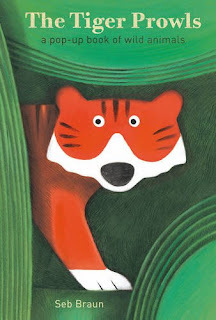 Kids will find a fantastic little mini library being given away with happy meals, offering a tempting taster of Roald Dahl's immense storytelling talent with a selection of brilliant mini books and stories. Having browsed through the selection of mini books ourselves, we're very excited to see this initiative - absolutely perfect for kids who've yet to discover the extraordinary world of Roald Dahl. 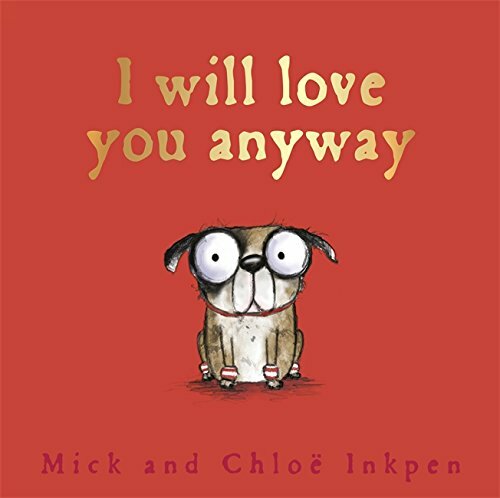 Each book covers a specific theme (from awesome animals to crazy characters) so there's plenty to read and discover even for reluctant readers. 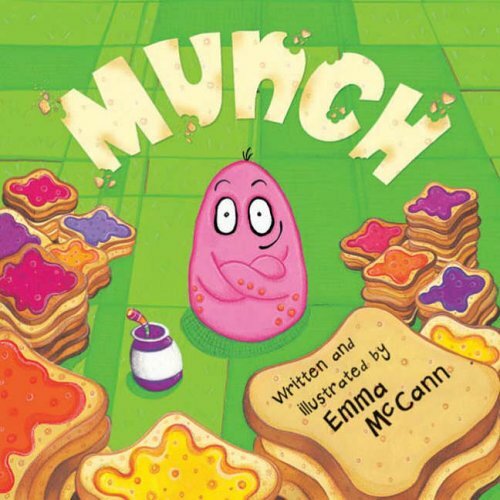 In addition there are vouchers on the Happy Meal box that can be taken into participating branches of WH Smith to claim one of a pair of awesome Dahl-themed books for £1 (usual RRP £4.99) while the promotion takes place. Whether you're a fan of Matilda, go goo-goo over Charlie and the Chocolate Factory or are crazy about The Twits, there's something for everyone so join in today! The promotion runs for 6 weeks starting from 23rd September 2015. It's not easy being orange. Or tiny for that matter. One fish feels like he's suffering an identity crisis but perhaps even the tiniest of us can be a hero. 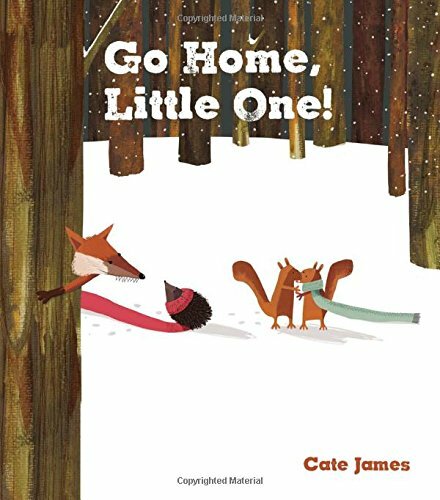 Once children start to learn more about the world around them, so follows the start of a lifelong interest with the animals we share our planet with too. Here's a great little pop up book for tinies featuring some amazing wild animals! How do you get the next generation of prospective art fanatics well and truly hooked? 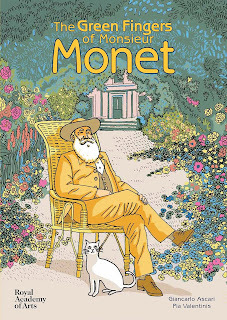 With glorious books like this - step inside the colourful world of Monsieur Monet! 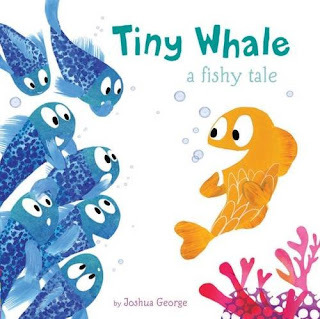 Kids love their pets no matter what, but what if your pet starts off tiny and cute - and grows into something altogether more...mammoth? 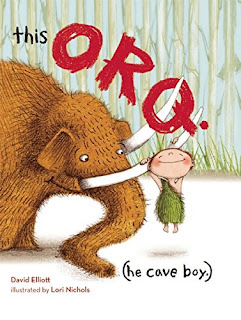 Meet Orq - He Cave Boy! He Say Ugh! 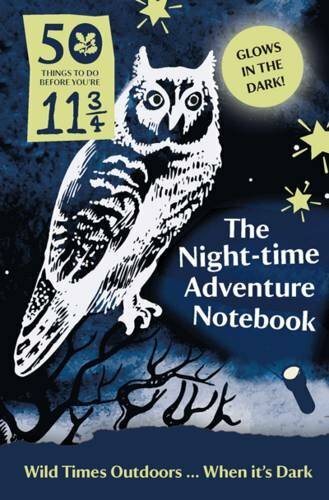 Here's a fantastic pair of books for budding outdoor explorers and nature lovers. Get outside and get muddy! Our Second Book of the Week this week reminds us exactly why we love moggies! 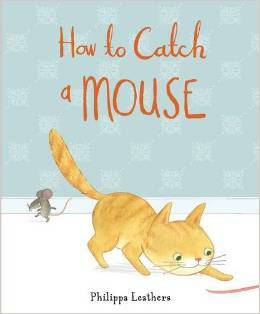 The utterly adorable "How to Catch a Mouse" is our second Book of the Week. 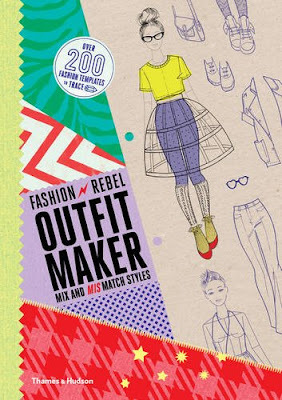 Hit the catwalks in fine style, a fabulous fashion design book with tons of amazing styles to trace and copy..."Fashion Rebel Outfit Maker" is our first book of the week this week! Stop right there before reading any further if you think this is a heavy hint disguised as a ReadItDaddy editorial. We're delving into the often controversial subject of blogger remuneration and it's going to be a bit like walking through a minefield carrying a sack of hyperactive hyenas while wearing roller skates. 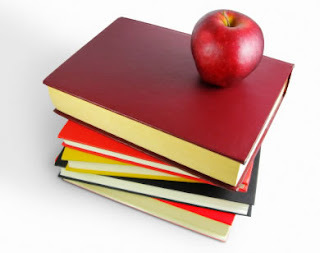 Most book bloggers reach a point in their blogging where they consider ways and means to make the blog start earning a crust. After all, it's been sitting around consuming your time for years so it's about time the lazy wretch earned its keep. Of course, monetising your blog to the point where it's actually worthwhile isn't easy, and though we're often entertained by stories in the media about beauty bloggers nailing six figure sums to talk about lippie, or foodie bloggers somehow reaching the stratospheric heights of negotiating lucrative cookbook deals off the back of their sticky toffee pudding recipes, it's very rare to see a book blog that achieves similar success. Though this isn't the focus of today's editorial. The focus is on you, as a blogger, being lucky enough to be asked to write content or produce articles for others - specifically publishers, organisations or other individuals who want to use your content on their own sites, promotional materials or perhaps even their own books. The sticky tricky subject of blogger payment assumes that the majority of book bloggers already DO receive payment - in that they get to read, review and eventually keep the books that they're sent by publishers and PRs and - from our perspective - that's perfectly acceptable, in fact I think it's rather generous when you consider what books cost and how much you would be shelling out per year if you bought the books you received for review. Any blogger charging for critique is (purely in my opinion) not only cheating their audience, but they're also cheating the person whose work they're reviewing. There are exceptions of course, there are folk who have spent a long time in the children's publishing industry who quite rightly charge for crits and consultancy - but these are folk who have the experience, the qualification and the background to be able to give a structured and professional opinion. 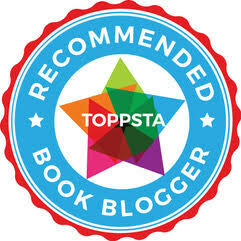 Most blogger who review books will (like us) stick to a rigid set of blogger ethics, reviewing books they want to review and giving a good solid and honest opinion of those books regardless of their net worth, and they'll also make a point of mentioning when a book was sent to them for review by a publisher or author. This definitely helps offer a level of transparency to your intended audience and is definitely worth considering. But again we're getting bogged down in the critique side of things, I'm trying to get around to the subject at hand - the business of making a living from your writing when you're producing exclusive content that offers a (hopefully) informed and interesting article or opinion drawn from your own experiences when writing a book blog. 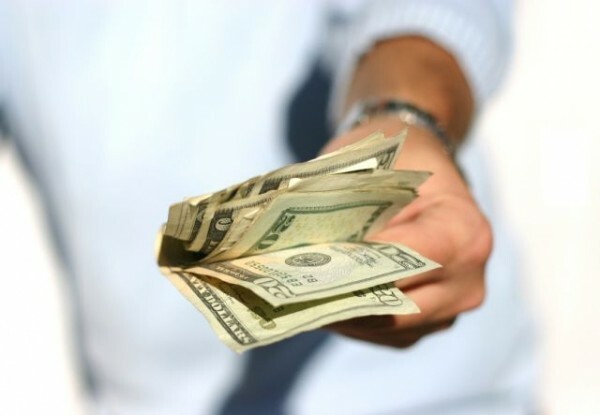 In the few cases where we've been asked to provide content like that, the subject of payment or remuneration is never broached. Obviously there's the inferred 'lure' of a magical boost in your blog's readership off the back of being featured somewhere that gets a few more hits than you do, but be honest, has that EVER worked out for you if you've been in a similar situation? It would be nice to not be considered the 'bottom of the barrel' when it comes to writing from time to time. I've seen a lot of rather harsh and unfair criticism levelled at bloggers by artists and authors who prefer professional critique (Read: Newspaper or Magazine articles) and entirely discount blogger reviews (or for that matter Amazon reviews but I can pretty much see why they're not big fans of the latter). They're in the minority though, and quite often they may feel this way purely because they may assume that book bloggers are ten-a-penny and that anyone with an internet connection and a laptop can set up a blog, nip to the library, grab a stack of books and start ranting about them. Perhaps then this is where the perception that blogger writing doesn't deserve payment ultimately comes from. 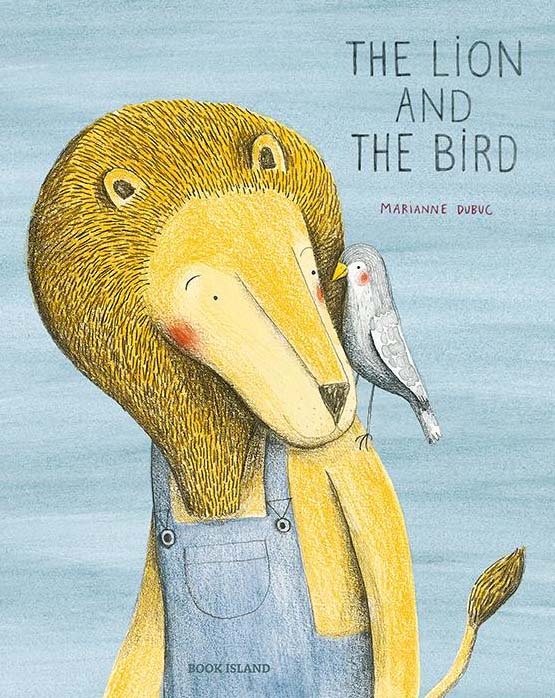 I'm sure most of the lovely folk we've met through this blog (and the ones we haven't) all get that slightly weird sideways glance from other folk when they tell them that they write about children's books for fun. But by and large we're passionate folk. I don't think I've met any book bloggers who are doing it 'purely for the freebies' and I've never met any who just copy and paste the same review over and over again, changing the names of the books or authors to suit. 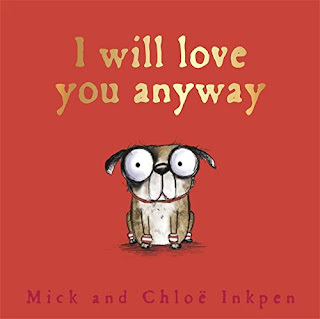 We do this in our spare time because we like doing it, we do this in our spare time because our kids love books and we do this in our spare time because once in a while someone says something nice about something you've written or an opinion you've offered and that feels damned good. Sorry, this has gone on and on so will respect anyone who just comments TL;DR and skips to the end. To summarise, please don't ask a blogger to work for 'free' if you're asking them to provide unique content for your own publications, it does feel a bit like a slap in the chops and even the shortest article will still be eating up a bit of their most valuable resource - Time. As much as we might think that children's picture books are a new and shiny idea, amazing picture books that cast the template for books we know and love today are much older than you think. 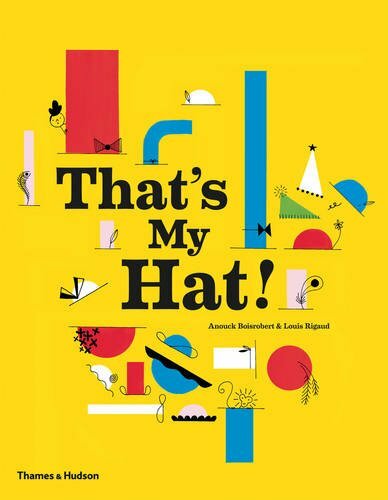 We were lucky enough to be contacted by two extremely talented folk all the way from Bulgaria, to highlight a new book series specifically designed to help younger children learn their colours. 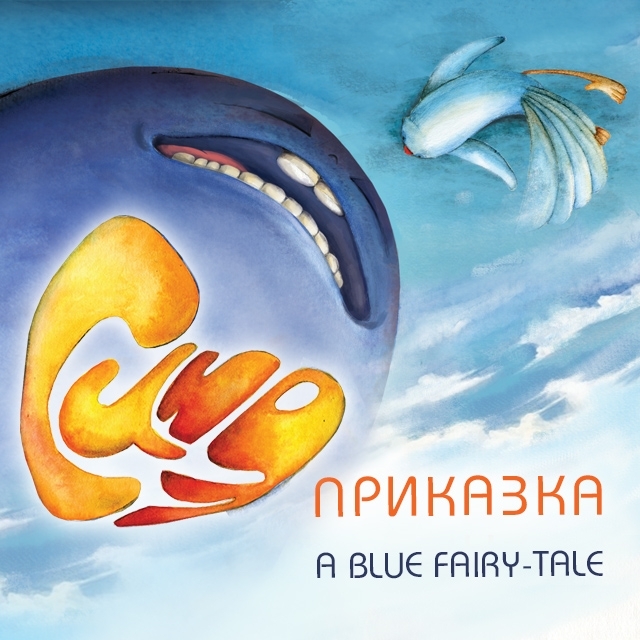 "The Fairy of Colours" is the publisher behind the range, and author Verginia Genova with illustrator Veselka Velinova have published the first three titles in the range digitally, and are about to begin a kickstarter to publish the books in Bulgarian and English in glorious hardback formats too. Each book is hand painted and as you can see from the images below, the illustrations are truly and absolutely stunning to behold - fused beautifully with Verginia's lyrical and poetic storytelling. "A Blue Fairy Tale" and a tempestuous storm! "A Green Fairy Tale", at home with the grasshopper family. 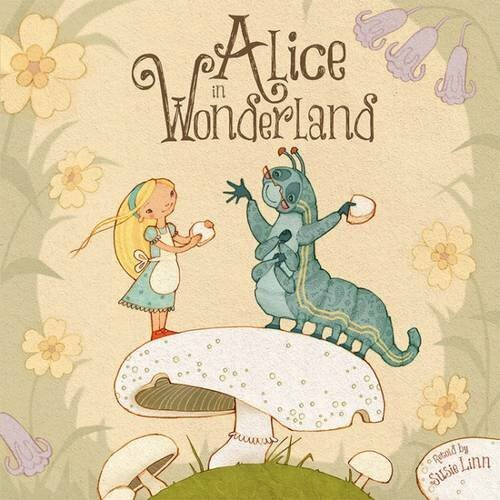 Beautiful hand-painted artwork appears throughout each book. 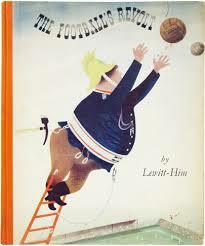 Check out a great new range of fantastic Sticker History book titles from Joshua George and Ed Myers at Top That! We haven't heard from our good friends at Top That Publishing in a while but they've been busily creating wonderful books, including this fantastic new range entitled "Sticker History" aimed at encouraging youngsters into finding out more about the ancient world. So to the books themselves. 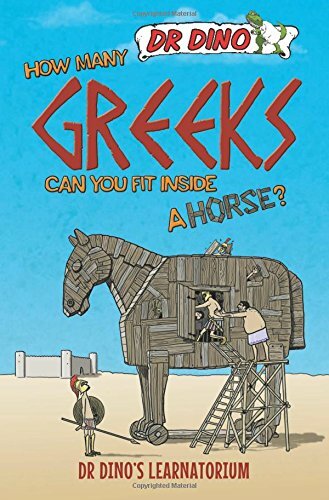 Each book comprises a really neat and intuitive set of themed scenes on the various eras in history each book deals with. 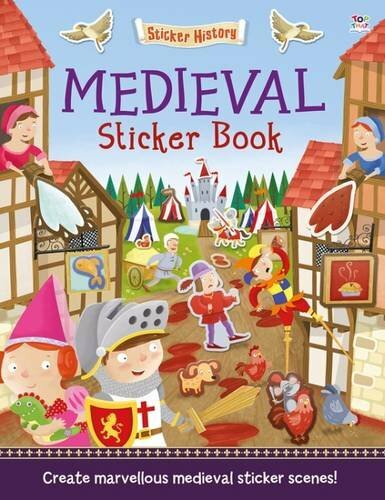 misters and madams (like Charlotte) who absolutely insist on each sticker going in its rightful place. Younger children might need a bit of a hand detaching some of the stickers (some of the larger and more complex shapes are fairly tricky to detach intact but we've found that in practically every sticker book we've ever reviewed so it's not a problem with the range itself). 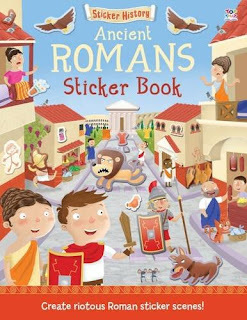 if there's one thing that helps youngsters soak up historical facts and figures very quickly indeed, it's humour whether visual or written (the success of Horrible Histories is testament to this fact, obviously). 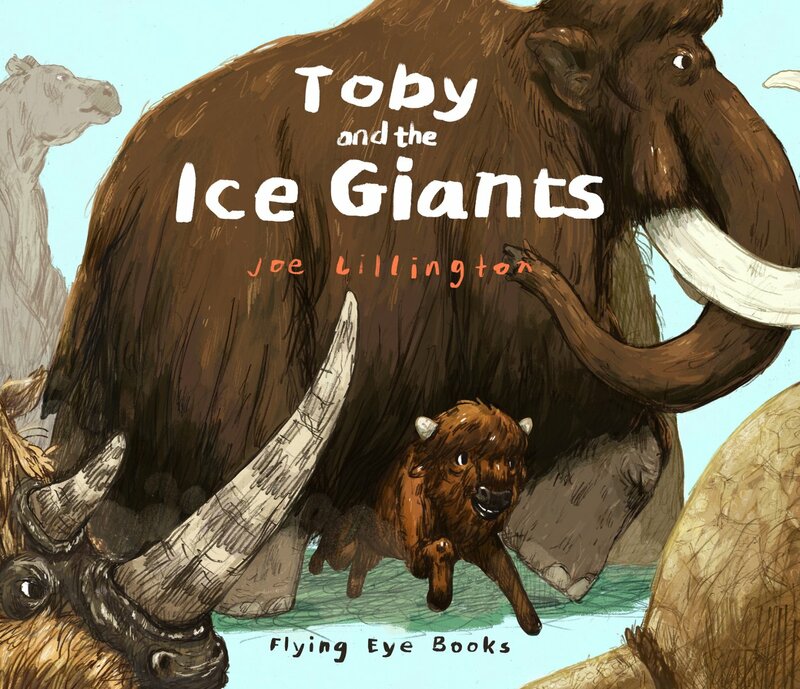 Josh and Ed have hit just the right balance of humour and the character work is brilliant in these books, making them particularly appealing for the 3-5 year age range and well beyond too. 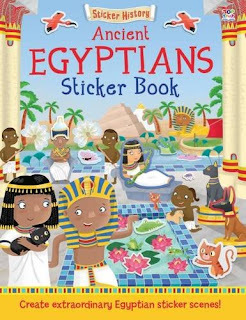 Charlotte steadily worked through each of the books in turn, saving her favourite till last - the Ancient Egyptians Sticker Book. 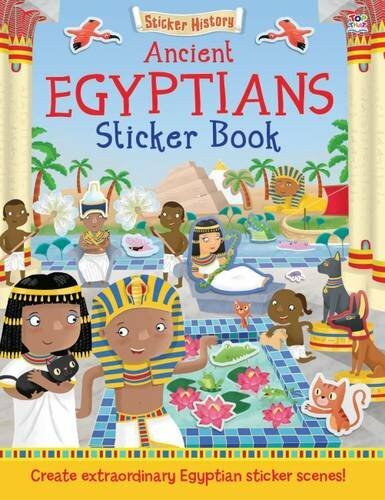 Everything from the construction of the pyramids to mummification is covered (or rather uncovered!) 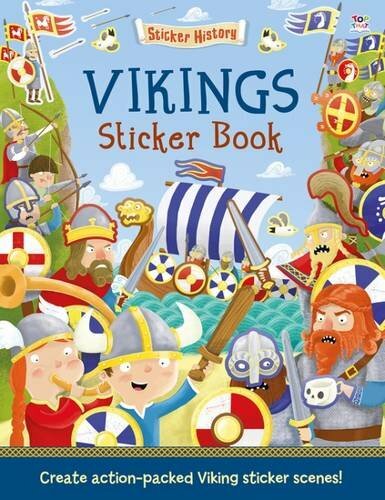 with tons and tons of stickers to place in each colourful and vibrant scene. 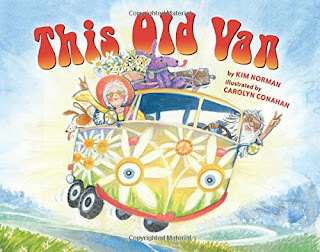 Great stickers, brilliant humorous writing and art, not too stuffy and academic and certainly not too dumbed down either. Just the way we love our history books. The Sticker History range was released back in April by Top That. Once again, check out their website to find out more about the entire range and Top That's other fantastic activity books for children of all ages. Charlotte's favourite bit: Yes, that bit in Medieval History where people used to hang their bums out of windows to do a poo. Ew! 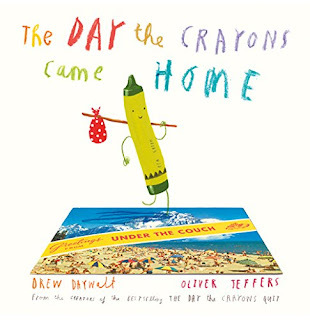 Daddy's favourite bit: Great books to use either at home or in schools, and perfectly priced for upcoming stocking filler ideas. When is a 'hidden objects' book not just a hidden objects book? When it's also crammed with devilishly difficult maze challenges. Dive into the world of Pierre the Maze Detective! 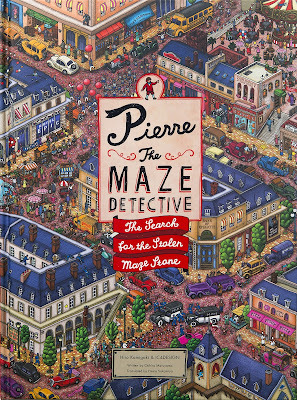 A crazy rag-tag chase across an amazing 3D popup town, has anyone seen a monkey...? The Mr Men are back! And Forward! And winging it too! 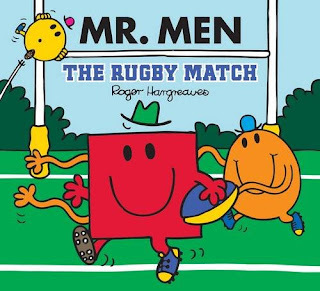 Here's a timely re-release of "Mr Men: The Rugby Match" by Roger Hargreaves for little ones tuning into the Rugby World Cup! A book you can stick on your face and have a good laugh at? 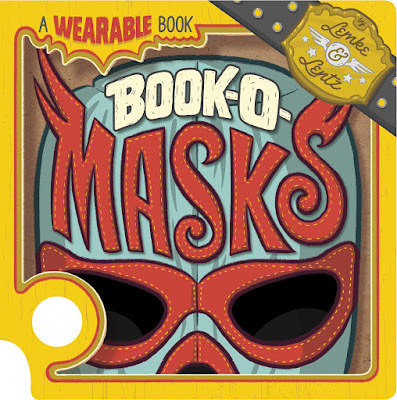 Perfect for selfie addicts or daft fun-loving folk like us, it's "The Book-O-Masks" by Lemke and Lentz! Welcome to the Museum - Again! 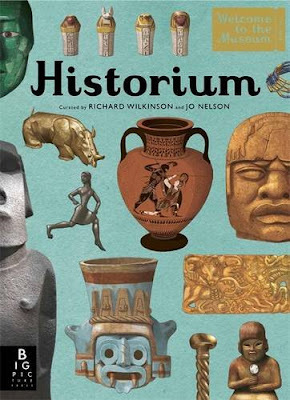 You loved the majesty of the animal kingdom explored in the glorious "Animalium", now explore amazing artifacts in the stunning "Historium"
Calling International Rescue! 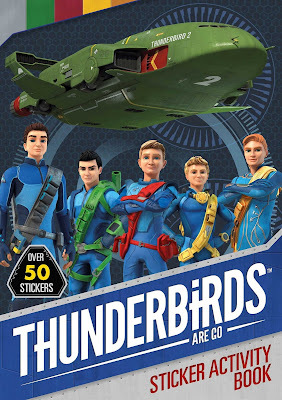 Did you know a whole new Thunderbirds series has arrived and is currently knocking everyone's socks off? 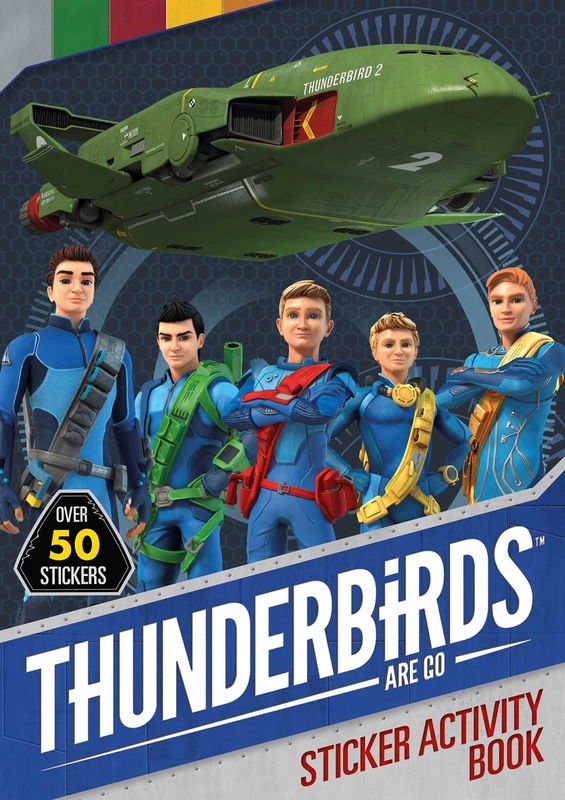 Expect Thunderbirds-Mania to explode all over merchandise and toy ranges this Christmas but there are also tons of Thunderbirds books to dig into too! 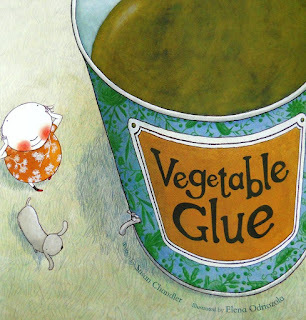 Charlotte has now started back at school, and inevitably this means she'll start reading "school" books again. We never really have much to stress about when it comes to her reading but sometimes it feels like she's unnecessarily being made to follow a fairly rigid 'track' through school bookwork rather than being allowed to develop her own skills and tastes. 2) She reads a lot of books. A LOT of books - all the stuff we review here and a whole lot more besides, so should I even worry about school book work at all? The crux of this editorial is something that cropped up on Twitter (usually Twitter is the inspiration for a lot of these ramblings but this was definitely an eye-catching tweet and a point well made by @joannechocolat). It struck me that the real problem I have with the school bookwork has nothing to do with the material or the level it's aimed at, it's the inference that Charlotte's reading level is purely determined by books she HAS to read rather than books she wants to read. 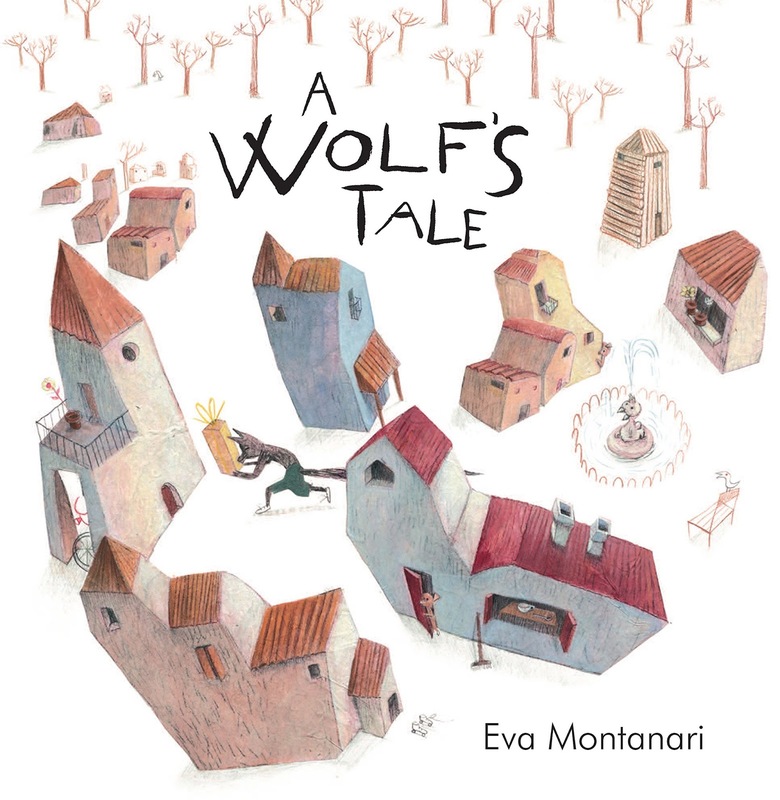 We have a lot of mums at Charlotte's school who insist that their little darling(s) read at such a highly advanced level for their age that they could happily work through the works of Shakespeare in an evening, or could polish off War and Peace for giggles at the weekend. Proud parenting is fine but it's the veiled inference that one child is somehow 'better' than another purely because they're reading books with a bigger word count, or have moved on swiftly from children's books and are working their way through dusty old classics that you really wouldn't wish on anyone. Competitive parents aside, and getting back to Joanne's tweet, you can spot the kids who have a genuine love of reading and actually LOVE the books they've brought to school off their own backs to read in the cloakroom or at break times. There's a certain shiny-eyed enthusiasm that is instantly identifiable in kids who actually consider reading in their free time to be a pleasure, not something foisted on them just to bump up their academic reputation amongst their peers and their teachers. When we receive books for review, sometimes the reaction from Charlotte is utterly priceless and I truly wish I could somehow take a snapshot of that precise moment in time and somehow turn it into a meaningful sentence or two in our reviews (particularly when it comes to "Book of the Week" winners which I'm always worried we don't trumpet loudly enough about - If they've made Book of the Week they're pretty much as close to perfection as you're going to get in a children's book). I'm always well aware that it could easily be a different story, that the book blog could've dwindled away to nothing purely because Charlotte had only a passing interest in books and reading, or considered reading to be the very opposite of 'leisure time'. If that had happened, I wouldn't be here now typing this and I'm so glad she saw the worth of reading for pleasure early on, because reading purely for bragging rights just seems utterly worthless to me. Autumn is definitely our favourite month. 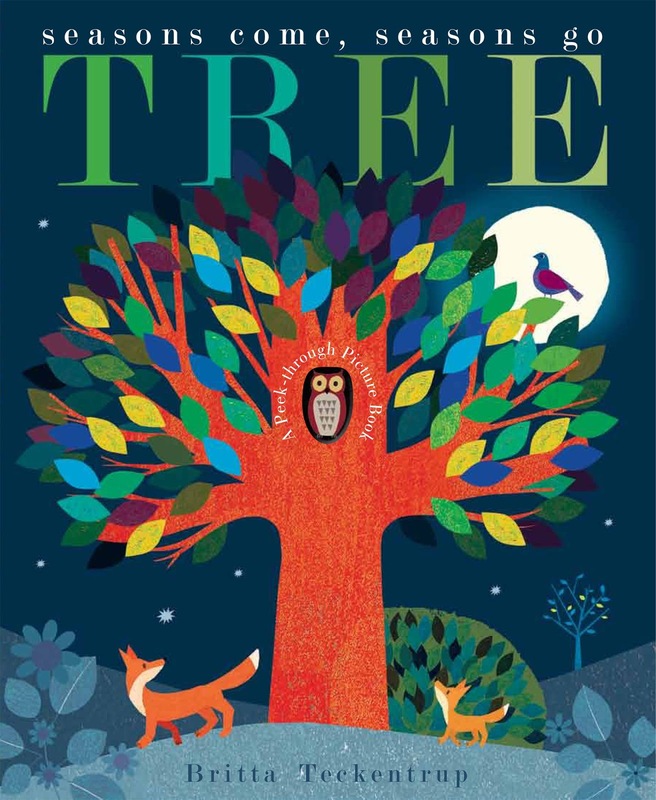 Not just because the trees begin to change colour in a dazzling display but because Autumn usually means tons of new books!